The opera's plot isn't the only interesting thing, either. The music is bursting with light-hearted liveliness, imagination, and a fantastic mix of exciting arias and grand melodies. It's not surprising that it was Mozart's last opera before he died. He was on peak form, his divine musical gifts at their most mature and formidable. Mozart's Magic Flute was the first opera the composer wrote for the commercial theater. Before 1791 had only created stage productions for commissions from wealthy patrons, but none were around and he desperately needed some funds to squash debts and provide for his sick wife. The solution? A smash hit opera, with his name forged in lights! He teamed up with his friend Emanuel Schikaneder, a poet/singer/actor/playwright, and all-round performer to create an opera that would blow all the others away. Schikaneder would write the story, and Mozart would bring it to life with his brilliant music. (Schikaneder and Mozart had met about a decade earlier - they were members of the same Masonic Lodge). Schikaneder set to work, with the help of a chorister called Gieseke. He had actually already half written a plot, based on exotic Eastern myths, for a puppet show he wanted Mozart to write music for earlier. But someone else got there first, and staged a theater production using the same material. Worse yet, it was a hit! 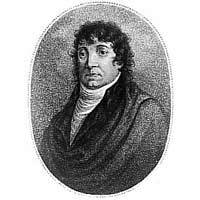 Schikaneder's plans were halted. At that point in time, Freemasonry was starting to be considered as suspicious and a bit weird. The Empress had decried it, and the army was smashing up Lodges. Schikaneder decided to stick up for his beliefs, and altered his plot by blending in strong Masonic elements to support the group. He also threw in some dashes of other popular magical stories, and brewed it up to create the final plot for Mozart's Magic Flute. 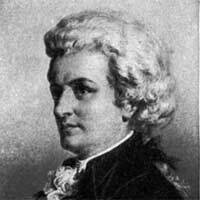 Mozart worked on the music for the opera from March 1791 until July the same year. He then took a break, composed another opera in the meantime, then finished The Magic Flute up in September. The premiere was the 30th of that month. Mozart himself conducted, with Schikaneder performing a supporting role. Mozart's sister-in-law sung the most difficult role: the Queen of the Night. The opera was slow to take hold in the public's hearts, but soon enough it was super successful. People flocked to see it, and it racked up hundreds of performances during the 1790s. Mozart had achieved what he set out for - a successful opera! But tragically he died two months later. If he had survived, it could have altered his life for the better. But even in the short time he was still alive he didn't make the most of it. Other theaters got hold of copies illegally, and Mozart was never business-savvy enough to get his full dues. The setting is Egypt. First we encounter the hero Tamino, who meets the half man/half bird Papageno, then three lady attendants of the Queen of the Night. They show him an image of the beautiful Pamina, the Queen's daughter. Tamino falls in love with her instantly. Pamina has been captured by the Queen's enemy, "evil" Sarastro. The Queen then appears, and demands that Tamino go to Sarastro's temple and rescue Pamina. After the Queen leaves, the ladies give Tamino a magic flute that can change men's hearts. Papageno goes along as well, as the token sidekick. Papageno goes on ahead, and finds Pamina in Sarastro's Temple. Tamino later finds the temple with the help of three spirit children. He tries three gates to get in, but two don't work, and at the third an old priest appears and convinces Tamino that Sarastro is in fact the good guy. What a strange temple! Pamina, Papageno meet Sarastro. Pamina falls at his feet, but he says he can't release her. Tamino enters, captured by Sarastro's servant. Tamino and Pamina instantly embrace. In the second act, Tamino learns he can marry Pamina if he manages to pass the Sarastro's (actually the high priest of Isis) trials. Uh oh! Apparently the Queen of the Night had messed with everyone's heads, making up superstitions. The first test requires that Tamino and Papageno remain silent while being tempted and threatened by women. Papageno can't handle it, but Tamino passes with flying colors. Meanwhile the Queen of the Night appears in, appropriately, the nighttime. She sings her famous aria and gives her daughter a dagger to kill Sarastro with. The second test involves silence as well, but this time with Pamina trying to get the duo's attention. Tamino really wants to marry her, so he ignores her to pass the test. The final trial requires Tamino and Pamina to walk through caves filled with fire and water. They do this successfully, with the protection of Tamino's magic flute. The Queen and her evil forces are exiled. Mozart's Magic Flute ends with a huge chorus praising the gods and celebrating that Tamino and Pamina passed the trials. Yay!! The music in the Magic Flute is Mozart at his best. The melodies are deceptively simple, but so catchy and delightful that they seem a lot more complex. The orchestra has beautifully rich waves of sound, and the music in general is infected with a playful heroism. Interestingly Mozart wrote the vocal parts specifically for the singers he knew were going to perform. The cast included super-virtuoso singers, and ordinary actors as well. The parts for the not-so-talented singers are duplicated in the orchestra so the performers could easily sing along. 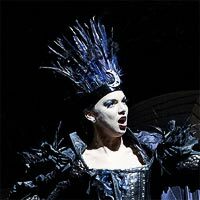 The Queen of the Night has ridiculously difficult parts in comparison, obviously because Mozart's sister-in-law was a goddess of voice (strange but probably true!). The part requires a high F to be sung - this doesn't happen often in the world of opera! Click to listen to and explore Mozart's glorious symphonies, which feature more of the master composer's best work. A wonderful recording is the one conducted by Sir Colin Davis and directed by David McVicar. It features Simon Keenlyside as a delightful Papageno, and the ferocious Diana Damrau as the Queen of the Night. The rest of the cast sing magnificently as well, and the music-making is well-executed, if a little dry. All in all, a very high quality production. The video and sound quality is stellar... Recommended! You can read about other famous Mozart operas here.